Eipix Entertainment presents a new kind of case in the latest installment of the Mystery Case Files series! Mystery Case Files: Rewind Collector's Edition is rated 3.4 out of 5 by 342. Rated 5 out of 5 by colorsplash from Still my favorite As always MCF comes through with a fun game that is both challenging and doable! It was fun visiting my favorite bad guys from the old games. 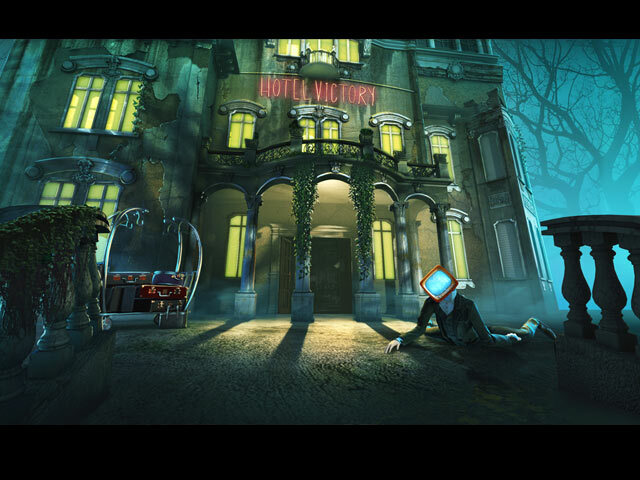 The hidden obect scenes were fun to play and the puzzles were as amusing as always. MCF is still the best!! Rated 5 out of 5 by gamesrgreatfun from Rewind to When Games Were Challenging! When I saw that this game was a throwback to the original Ravenhearst, I got super excited! It was the game that got me interested in the hidden object games. My very first purchase from Big Fish Games back in 2007. I have bought 100s of games since then but my favorite serie is the Mystery Case Files. They used to be better made, true. But some of them are still very entertaining. Comparing this game to the original Ravenhearst (which I replayed after playing this game) the original was harder. The H.O. scenes are more cluttered and the objects blend in to the background sometimes. The locked door puzzles were harder also. I had to use a hint or a walkthrough on almost all of them! I ended up replaying chapters also because the time ran out and the H.O. scenes did not have the exact same lists, so you had to find mostly new items! In the rewind version, if you have to replay a level (which I did a couple of times because I played on the timed version) the list is exactly the same and super easy the second time through. I still prefer the original, but this game was super fun and I would like to see more like it!! Rated 5 out of 5 by gladysschmuck from Yes, I'm late to the game... ...quite literally I guess. Considering so many negative reviews, I have to contribute my 2 cents. I thoroughly enjoyed this game! It was different, entertaining, humorous, and challenging. I highly recommend it for a delightful change from the norm. Rated 5 out of 5 by Makenakat from FUN game! I absolutely LOVE this game! It is more like the older Mystery Case File versions that I now cannot play on my Mac. The hidden objects are fun to find, including the morphing object, and the puzzles are just hard enough for seniors like me. I hope they develop more versions like this one! Rated 5 out of 5 by Fids1 from Fantastic, I have never written a review before but just had to with the best game ever. I cannot understand the low reviews unless they really don't like HOP's. I didn't think I would like it as HOP's can get tedious, but with the clock ticking it was sooooo much fun. I have never written a review before and just had to say how much I loved this game. I especially love the special puzzles, which are always a joy to do. This is the first game ever that I will play again, even though it will be a lot easier. Can't praise it enough. Rated 5 out of 5 by denniann2 from back to the original type of mystery case files this is a return to the original type of the game that we all fell in love with! i super enjoyed this game and am hoping that the ones that follow are similar to this one!!!!! Rated 5 out of 5 by Indy70 from Fabulous Fabulous - just fabulous. The best MCF yet and so much fun to work on. Choose your own level of play, has a great guide if you need it, plus you can play this one over and over if you like. I am hoping this is not the last of the MCF 'Rewinds'. Rated 5 out of 5 by Pashta from Something DIFFERENT Finally! Yay! I'm so tired of seeing the same old stuff. Even though this is an old style, I love the fact that it's still DIFFERENT from all the rest of the HO games. Thank you! Keep doing different things, please! Rated 5 out of 5 by jenjarrett from The Time Machine The first ever "Mystery Case Files" game brought me to Big Fish and made me fall in love with its games, so it's very special to me. "MCF Rewind" brings back memories, and for this fact alone I absolutely love the game. The story is, in essence, about travelling in time and space, and the game itself is a real time machine. Now it feelis like I'm 10+ years younger again, playing exciting new type of games and loving every minute of it. The game design, graphics, and insurpassed giant puzzles are back. I realize that this is, in a sense, the players' victory over devs, because for years we have been whining about good ol' times and how everything was better back then. Well, the devs listened, and they have delivered. Enjoy! Rated 5 out of 5 by wendyjj from Best game ever I enjoyed this game so much, it takes you back to the original game, lots of great puzzles and hidden objects, not all gloom and doom. A great combination of old and new. Rated 5 out of 5 by sondraruth from Fantastic Game--Buy It !!! Finally!! At Last !!! Back to the old MCF game play!!!!! The other reviewers have explained the concept of the game very well. If you have played any of the early MCF games, you won't need much explanation anyway. So as a 67 year old Great-Grandmother, I just wanted to throw my 2 cents worth in here to let Big Fish and game developer Eipix know that I think this game is fantastic. Please give us more of this type of game play. Thanks for all your hard work and the person that thought of this retro idea deserves a raise. Rated 5 out of 5 by robotics1 from So Different! I just loved this game; it was so different from the usual format. There is a plot, though it is less obvious but the game and plot are broken into sections - floors and places on each floor. The objective is to find all the people in the hotel and get them together so they can be collectively returned to their own times. There are lots of HOSs - an unusual number. In other HOS games tedious intelligence test puzzles turn up at random. I find them an annoying delay and just skip. In this game each floor is unlocked with a super-puzzle which is quite fun to do. Rated 5 out of 5 by craftygirl318 from I have been missing these games! I have grown tired of all of the HOAs that have come out year after year. While fun on their own, there are times I would like to sit down and play a good, old fashioned HOG. This game is filling that need. I have desperately wished to sit back, relax and focus more on finding things. It seems the HOA games are having less and less hidden object scenes in favor of roaming around solving puzzles with picked up items. More games like this please!!! Rated 5 out of 5 by minikraut from Such fun! I really, really enjoyed this one. All the characters come from other games I like, and there are even references in the opening credits that made me laugh. I said "good" for level of challenge. The HO scenes are quite easy though as they may be "busy", but things are hardly ever in totally unlikely places. The puzzles to find the "out of view" items are good and I especcially love the "unlock the next door" puzzle levels which are quite quirky. And there are no hints on those levels - you either get it or you don't. I also found the HO scenes interesting which had a lot of screens in them with the images changing, not terribly difficult, but keeps you on your toes. So all in all, that amounted to "good". I'm not really into replaying the music and re-viewing the art work you get seperate with the collectors' edition (although I enjoyed it during gameplay), the only aspect interesting me here was playing an extra chapter. I'm using credits, and I think I will opt for the standard edition of a game in the future where 2 credits give me two games rather than trading them for one collectors' edition. Rated 5 out of 5 by mfmixer from This is a Great Game Very enjoyable to play and an unusual format. 5 STARS!!! Rated 5 out of 5 by twilight009 from love it Frist time in a long time that I've brought a MCF game. I'm really in joying this one. I hope they more like it. Rated 5 out of 5 by jojobear9 from Flashback to the Original Ravenhearst For those reviewers who complained this shouldn't be called a MCF game never played Huntsville, Prime Suspects or the original Ravenhearst. MCF Rewind is almost identical to Ravenhearst. The main difference is there are a few more puzzles. MCF Huntsville (2005) is what started my love of the MCF franchise. Lately I was getting a little overwhelmed with all the hoops you had to jump through just to get through the game and after MCF The Revenant’s Hunt was released and I played I swore I was not going to buy another MCF game. I downloaded the trial of Rewind and loved it. GOOD WORK MCF!!! Rated 5 out of 5 by Chrisppp from What fun! For the last few months, I've been wondering what happened to those games that had bunches of HOPs, then a major, multipart, interactive game at the end of the chapters. Unfortunately, I couldn't remember any of their names. Then I saw this one. The reviews almost made me pass it up. Seems lots of people didn't get what it was about. AM I EVER GLAD I GOT THIS ONE! Yes, I'm shouting. It was a nostalgic trip down memory lane, one I totally enjoyed. While I can honestly say I don't remember much about the games referenced in this one, it was still fun to play the bunches of HOPs and the "super games" at the end of the chapters. I'm really glad Eipix put this out and, honestly, I hope they'll do more. It was great fun to go back to what these games used to be a few years ago! Rated 5 out of 5 by lariax from Excellent game! I loved this game, a great flash from the past with a bit of modern updating. I replay the old Madame Fate and Huntsville games but still miss the super puzzles and morphs. This game fixes that and brings it all. Rated 5 out of 5 by memecottrill4209 from Mystery Case Files Fun I really enjoyed this game. I love the graphics and I have missed games that have a lot of Hidden Object scenes. I would like less repetition and more adventure and story but otherwise it was good. There are some people upset about this cause it isn't mini games and puzzle madness. Hidden Object games were meant to be Hidden Object but we have gotten so far away from Hidden Object that they don't even look like Hidden Object games anymore. I don't mind some mini games and some puzzles but they have just about taken completely over the Hidden Object genre. If they want Mini games and Puzzles then maybe there should be a Genre just for them and let us Hidden Object fans have our games back. 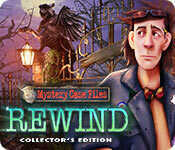 Rated 5 out of 5 by happynewt from mystery case files rewind collectors love it . I hope there will be more. I love all raven hurst games. Rated 5 out of 5 by barbskora from Great MCF game! I loved, loved, loved this game! It was so like earlier MCF games, only better since it included characters from all the old games. Much better game than MCF more recent games. Please give us more like this. Rated 5 out of 5 by robinbobbin from Enjoyable Flashback I liked this game, it made a nice change of pace. If we have to have eternal Dalimars, might as well get some humor out of it. Good things: *Just HOPs and puzzles, no tedious back and forth, or walking past dozens of rocks to find a particular type of hammer to break the window with. *A variety of characters related to previous cases. *The HOPs didn't overlap much when you had to repeat a room. It seemed like a lot of items stayed cleared out the 2nd or 3rd go around, making it easier to see new things. Plus when I played again with a different profile, they were different lists than the first profile. *A nice variety of HOP types. Nothing too fancy, but it kept it interesting. Bad things (pretty minor): *Timers and morphing objects are a very bad mix. I don't like morphing objects anyway, but in a timed game they're infuriating, especially when - *The timer running out, even at the very end of the level, meant you had to start the entire level again. That's not good at all. The only improvement is that you can at least turn the timer off completely. *The final level was 10 identical mini-puzzles, of a particularly tedious type. It would have been much more interesting to have different ones, especially if they'd been keyed to the character or their original game. *They cut the variety of crime computer puzzles; I was looking forward to a ransom note word find. *The cut scene of walking down a hallway and opening a door was interesting the first time, but got old very fast. I did not want to see it every single time I clicked on a room. *Only a couple of mini-games had this, but one of my pet peeves is games that rely entirely on fiddly controls or over-precise hot spots or just mouse speed for their challenge instead of mental dexterity. I used more words for the negatives, but they really were minor things that were heavily outweighed by the positives. Excellent job by the developers! Rated 5 out of 5 by Texasartist from Best Game in a While I was surprised how much fun I had playing this. I did not do the timer and just relaxed playing it. The super puzzles were excellent and took some thought. I liked the bonus chapter too. Rated 5 out of 5 by agatha43 from Best of the Hidden Object Games What makes this game so wonderful and unique is the "Super Puzzle" part of the game. It's the same kind of puzzle that was found in the early Ravenhearst Games and not found anywhere else. Hope they will continue to develop these particular challenges in future games. Rated 5 out of 5 by MountainAJ from Love It! 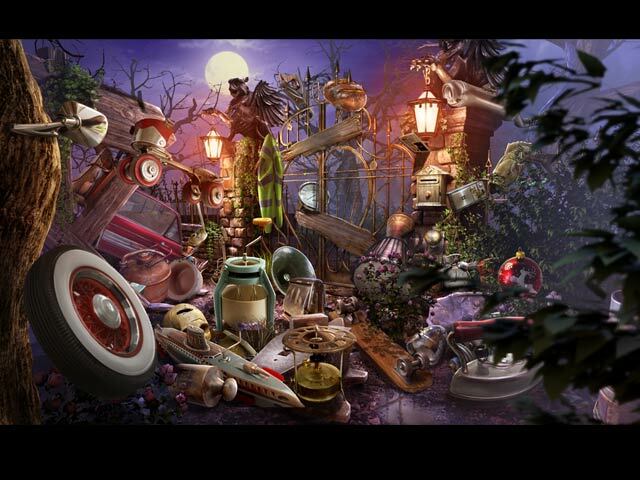 A partial return to old style hidden object games and I love it! I have played it over and over again and I never seem to lose interest. A pure hidden object game that is pure joy. Rated 5 out of 5 by libdoggy from Back to my beginnings This is where I came in. 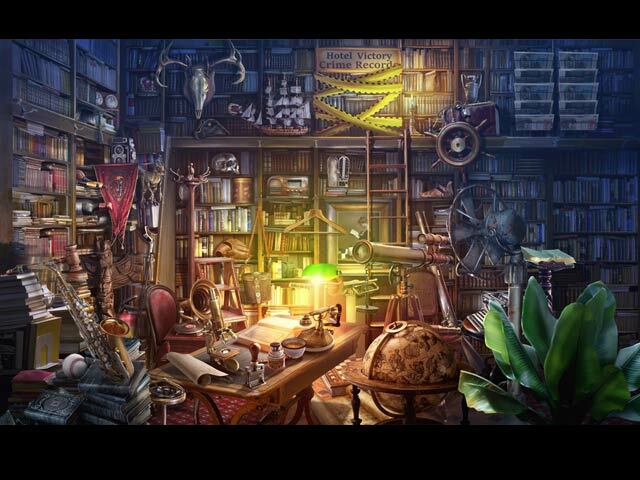 I cut my teeth on hidden object games with the Mystery Case Files games - the early ones that are in this same mode. And I love them, and still pull them up to play occasionally (challenging myself to play faster and faster). The puzzles are easier than they used to be, but I'm not complaining about that. But I just love this game; if only it were longer - hopefully there's another one coming. Maybe if the developers see how positive this one was received, they'll make it happen. These are creative, and I like the individual case files, and the humor involved. This will not disappoint.